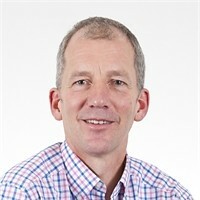 Johan van Arendonk, professor of breeding and genetics at Wageningen University, introduces himself and his work in this one of a series of portraits of key people in the Africa Chicken Genetic Gains (ACGG) program. Johan van Arendonk, professor of animal breeding and genetics (photo credit: Wageningen UR). I’m a professor of animal breeding and genetics at Wageningen University where I started in 1985 and since 2002 I’m a full professor. 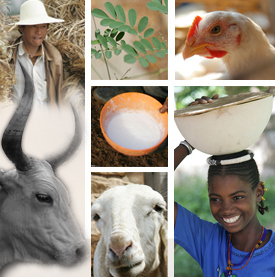 Since 1990 I’ve been involved in projects with the International Livestock Research Institute (ILRI), which has raised my interest in finding breeding solutions that will work for the tropical context. My first role is in developing the blueprint for the breeding program ensuring that the program is designed in a way that meets the needs of smallholder farmers for the future. My second role is in capacity building. This project builds on the collaboration we had for eight or nine years with the ILRI and the Ethiopian Institute for Agricultural Research (EIAR) station in Debre Zeit. In that project, we improved the Horro chicken breed and showed that breeding can improve indigenous chicken populations and that these populations can help to improve the livelihood of smallholders. We have shared our experiences with ACGG partners and continue our work on Horro. For the ACGG project, our main contribution is connected to two PhD students who are linked to this project and will help us answer the question about what is the optimal design of a breeding program that meets the needs of the smallholder poultry producers under different environmental conditions. One of these students started three months ago and the other one is just starting. That is the most important activity for me right now. I have also been involved in the work that contributed to ACGG. This has been very rewarding. I will soon hand over my responsibilities as I will be leaving Wageningen University as of January 2016. Hans Komen will be taking over my role. He is the small-scale breeding programs expert in Wageningen University and I’m confident that he will take over my role very well. From next year on, I will start working for a breeding company that is also working on poultry so I’m not going to leave the academic scene and I will keep an interest in ACGG. The unique aspect of this project is that it gives the opportunity to implement ideas generated by research at a scale I haven’t seen before and a scale that can demonstrate that breeding and associated measures can improve food security and get people out of poverty. In this respect, poultry is a good species to work on. I’m excited not only by the research and science, but also by its application. Do we have enough capacity to make it all work among partners. Partners are highly motivated but it’s a huge project with a huge demand on all involved. I’m impressed by what they’ve done so far but all teams are asked to go outside of their comfort zone. Although I also do see there’s a lot of support from ILRI and other organizations to tackle that risk. Secondly, the genetic (bio)diversity issue. What happens if you import foreign genetic material into a country? It will help food security and income but what if the imported breeds spread in the country and take over the role of indigenous breeds? That is certainly a risk. It is important to have an exit strategy in case an imported breed does not fit. In addition, conservation of genetic resources is important but needs to be balanced to ensure that people have income and food security. It is important to ensure that unique genetic resources are preserved. If one wants to really preserve a local breed, it needs to be improved. On the other hand, importation is not going to stop. That’s in the interest of farmers. When you look at smallholder conditions, some of the capacities of local chickens are needed to get the best performance. I foresee that farmers will produce more eggs, more impact and will get more resources to send their children to school. That’s what we saw in the Horro project and the farmers that participated were very pleased and could open a bank account. That was in one village but in ACGG it will be multiplied and over a longer period of time. I see this program bringing about collaboration between countries in the course of its implementation. This will include seeing how the project countries are willing to share their experiences and investments in seeking a solution that would fit this part of the continent. Tags: Interview, Johan van Arendonk, WUR. Bookmark the permalink.